You never know unless you go..
Joshua’s keen sense of interpreting nature’s beauty and an eye for details, has made him an avid and an admired photographer. 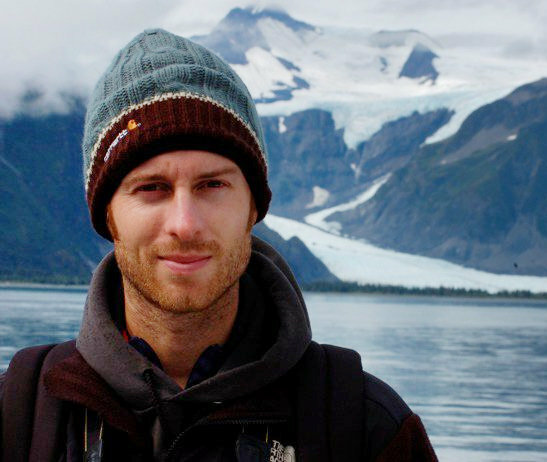 He is an Engineer turned Nature and landscape photographer and is quite an inspiration for people who want to go pro. He was way to kind to do an interview for me and he has written in good detail, so there is much to learn from this post. JC: The first thing I notice about a photo is the composition. To me composition is the meat and potatoes of a photo. This is where the substance of a photograph lays, and is the foundation of the rest of the photo. In other words, the whole idea of a photo comes from its composition. Next I look at the light. Amazing light is like a wonderful desert that perfectly finishes off a grand meal (hmm, can you tell I’m hungry as I type this? :). Next I look at the interplay between the composition and the light. Did the photographer get a great comp without great light, did he just shoot amazing light and color without thinking about the comp, or did he nail both. When the photographer takes the time to find an amazing composition and then is patient enough to wait for the right light to complement the scene, that is when the iconic images are created. JC: Lately I’ve become much more selective with my compositions and will often not shoot a scene unless I find a concept that I think is very engaging. But once I’ve found that great concept, I will try horizontal and vertical compositions, slightly different angles, heights, etc. It’s very rare that I nail a comp right out of the gate. Rather, I start with an idea and shoot that idea. Looking at the images on the back of my camera then helps me refine my vision until I get the comp just right. visit a place over and over, you start to get a sixth sense for when conditions will be just right for great photography. You’ll also create concepts for new photos. For example, the place I probably know best is the Santa Cruz coastline. And I have a backlog of photo ideas rattling around in my head that are just waiting for the ideal conditions to shoot. JC: “You never know unless you go.” That’s the title of one of my images and it pretty well sums up my ideas about getting out to shoot. In this day of iphones and constant weather updates, it’s easy to get stymied by constant questions of “the weather looks iffy, should I go shoot or not?” But the truth is, you’ll never know what happens unless you get out there and shoot. Yeah, you might get skunked, but at least you were out shooting. And those few times when the light is amazing, where would you rather be: at home kicking yourself, or out capturing the beauty because you took a chance? a) Galen Rowell – When I was getting into nature photography I came across Galen’s images and was absolutely floored by what he did with light, color, and composition. I didn’t know landscape photography could be so beautiful. What’s so amazing about Galen is that he opened the door to the next generation of landscape photographers, but rather than be a springboard to a higher level of landscape imagery, his photos still serve as shining examples of what to strive to achieve. b) Chip Phillips – I think Chip is one of the finest photographers working today. He seems to have the supernatural ability to control light to do what he wants it to. His photos always have captivating compositions and incredible light and color. c) Peter Lik – I am inspired by Peter not necessarily for his photography but for the success he has achieved with it. While many of us are struggling to make ends meet with our photography, Peter is out selling prints for one million dollars. I am incredibly impressed and hope to achieve even a fraction of his commercial success. d) Ryan Dyar – Photography’s wunderkind. I think Ryan is only 27, but he is an absolute landscape photography monster. His “Into the Valley” photo from Glacier National Park is one of my all-time favorite images. e) Jim Patterson – Jim is my friend and business partner, but he’s also a spectacular photog. The cool thing about Jim is he’s really well-rounded: he shoots underwater, seascapes, desert scapes, mountain scapes, and they’re all awesome. Doesn’t matter what he shoots, Jim seems to bring back the best imaginable images. JC: The best advice I can give to newcomers to photography is to take it slow. People think shooting digital means shooting a million frames every time they go out. But then these same people are disappointed when they don’t get any good shots. The trick is to slow down and really figure out what it is you want to shoot, then focus on getting the best possible shot, not shooting machine gun style and hoping to hit something.For those who are looking to go pro, first realize that is incredibly hard. I only know a small handful of photographers who are actually full-time pros. The rest of us supplement our photography income in other ways (I’m a part-time engineer for example). Second, there isn’t really a way to “ease into it”. You have to just jump off the deep end. If you want to start doing art shows for example, expect to spend $10,000 up-front in order to cover your start-up costs, inventory, booth display, signs, etc. Third, expect that you will have a lot less time for photography once you turn it into a business. I spend 90% of my photography time writing emails, working on SEO, applying for art shows, creating inventory, doing website maintenance, keeping track of bills, and so on. The other 10% I actually get to devote to taking photos and editing images. Be assured that “pro photographer” sounds a lot more romantic than it is. For most people, the right decision is to keep photography as a hobby, that way they get to spend as much time as possibly enjoying it, rather than dealing with the stress of trying to make money from it. You can follow him on his blog and on FaceBook. Nice, Josh! I like what you have to say. I am just trying now to force myself to slow down. I want to learn to really create a vision and capture and refine it. I’m tired of “machine gun” photography … it’s draining and disappointing! You are an inspiration. Thank you! !